Transmera AB is a small economic development and technology commercialization management consultancy company based in Sweden and in the USA. We welcome EU programme partners from ScanBalt for Horizon2020 international/cross-national projects with the United States related to innovation in healthcare, aging and well-being, as well as migrant employability/demographics in the life-science arena. 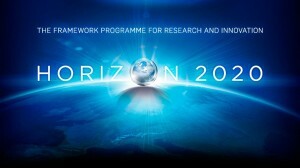 Interested partners should be familiar with project development and the H2020 or other EU-based projects: http://ec.europa.eu/research/participants/docs/h2020-funding-guide/index_en.htm .